Following the neatly rescued debacle that was the Commonwealth Games in India in 2010, many Indians were left debating the true legacy of such major sporting events. With the launch today of the London 2012 Olympics, B24 has no doubt that many Londoners will be asking themselves the same question. 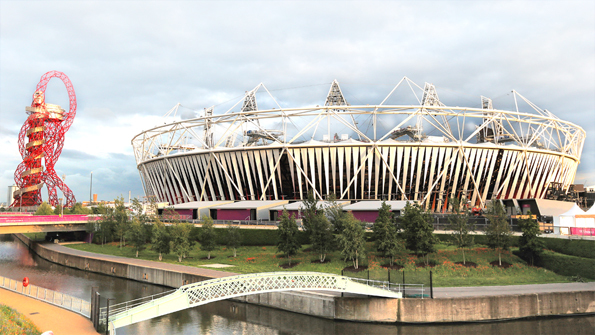 London 2012 Olympics Stadium. Photo Source: Getty Images. Hosting the likes of the FIFA World Cup or the Olympics requires a four to eight year program. The world cups in other global sports like cricket and rugby are far smaller with regard to the number of participating countries and hence do not require the same inputs with regard to sporting facilities and other needs such as accommodation. Bridging finance has to be put in place, together with a team of planners and political heads who have to manage tenders and then oversee the work being done. In short, a host country has to divert enormous resources, both human and material, into ensuring that it is ready for that all-important opening ceremony. There is clearly a wide gamut of experience. Los Angeles and Atlanta mobilized private capital and thus had almost no municipal debt; Barcelona revamped its port and other rundown neighbourhoods and ignited a new wave of national enthusiasm for sport; Beijing reduced pollution; the 2006 German soccer world cup changed the way foreigners regarded the country and consolidated the reunification of East and West. In each case there is a long list of plusses and minuses – for the consequences impact differently given the subjective needs and capacities of each host. Having said this, the overall evidence shows that unless there are long term contracts signed up front before these mega-sporting events take place (particularly with regard to future and ongoing use of the facilities), then maintenance costs and use of the facilities will fall short of what is needed to make them sustainable and not a drain on municipal finance. In most cases, a city does not ordinarily require stadia as large as the ones built for the mega-competitions; ongoing local and international events have far more modest dimensions. In extreme instances (such as Seoul) the main stadium is being dismantled because of unbearable maintenance costs; Montreal, Athens, Barcelona, Johannesburg and Sydney are also finding it difficult to make good use of their stadia. Let us conclude by taking a brief look at South Africa’s hosting of the 2010 FIFA World Cup which cost the country R40 billion (about US$5 Billion). 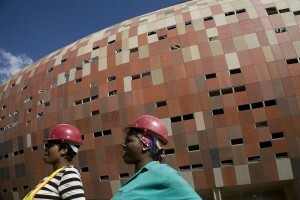 South Africa now has superlative stadia in some seven cities but the maintenance costs are not being met through the earning of income from events – indeed, their use has been extremely limited – and further debt is being incurred or resources are being diverted from other facilities in order to keep them going; the Johannesburg Gautrain (linking the main airport with the city and with Pretoria), is now in place as is a new bus service – but these new transport facilities are too expensive for most commuters and do not yet provide an extensive city-wide service; the regeneration of neighbourhoods was not a success – a clear example of this aspect being rhetorical rather than a serious commitment; tourism has not mushroomed – in fact, there is an over-supply of expensive hotels; local sport (particularly soccer) has not been given an injection of self-belief nor has the bonus received from FIFA been put to good use in regard to providing grassroots support to communities and schools that still lack any real sports facilities. In short, despite the obvious feel-good factor (and yes, both India and South Africa really did enjoy the party during their respective events with the hard realities of unemployment, corruption, crime and malfunctioning state departments temporarily blown away by the vuvuzelas and mass euphoria), the medium to long term benefits seem to be very skimpy. However, as with most extravaganzas, the spotlight quickly moves to other cities and countries, and the deficiencies of planning and execution are buried under the brilliance of ever more elaborate shows – each being hailed as the best ever. For we humans are suckers for diversion, and these mega-sports events serve as very useful catharses for the pent up stresses of a capitalist civilization that is very precarious. This is not to take away from the party that is currently being had by those in London for the 2012 Olympics. Hope and positivity abounds for both athletes and the participating nations – in fact, even the UK lottery has been ramped up to epic proportions as part of the hype. If you’re in India and would like to join that part of the fun, visit the B24 play lottery online page today. International readers can visit this website instead to participate. If you feel that national investment in these mega-sports events are tantamount to gambling here or on some online casino, then you are clearly not alone. Unfortunately, only time will tell whether the likes of the Olympics, World Cup, or Commonwealth Games will deliver the legacies they promised. So far, for the most part, the empirical evidence does not paint a hopeful picture at all. Good article but I do believe you underestimate the value of a boost in national pride. Take what the UK is experiencing at the moment for example – given the circumstances the country finds itself in – high unemployment, low job security, unstable economy, financial crises. The little hope and excitement the Olympics 2012 offers goes a long way to uplifting the national psyche. @Michelle – I agree there’s value in terms of spirit and national pride but legacy, by definition, hints at something longer term. 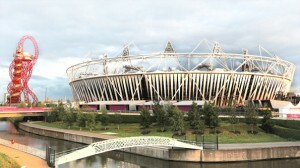 Only time will tell whether the investment in London 2012, which is substantial, will actually yield a real return. As the article suggests, judging by history, that anticipated value rarely gets realised. @Michelle Summers – the national pride is great but unfortunately it is too fleeting. Think of it as a drug of sorts – you keep needing a new event to boost how you feel but this just covers the issue superficially – the turmoil underneath, economic or otherwise still remains and often ignoring it makes it much worse. I personally feel the money could have been better spent elsewhere – both in the Commonwealth Games in Delhi as well as the London 2012 Olympics. These sporting events rarely generate the kind of return the country expects them to. Even if they are pulled off well as the South African FIFA World Cup, a large proportion of the investment actually never sees a return and results in white elephant stadiums. Great for a temporary boost in the economy but that’s about it.